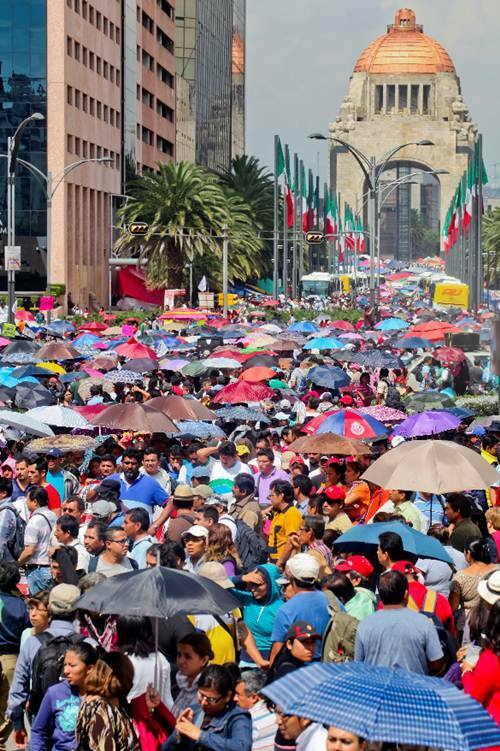 The teachers have been staging massive labor demonstrations in Mexico City. This photo particularly impressed me. Here’s the article in El Universal. This entry was posted in Mexico Photos, Stories and Observations and tagged El Universal, maestros, Mexican teachers by brucecritchley. Bookmark the permalink.